You don’t have to accept those aches and pains in your hips and knees as a part of getting older. Try these natural remedies to banish your joint pain. If you’re suffering from joint pain, you may be wondering if there are any natural alternatives to manage it besides over-the-counter and prescription pain medications. Luckily, there are more than a couple of options. Read on to learn how to significantly reduce your joint pain using simple, natural remedies. Joint pain usually manifests as an achy pain accompanied by stiffness and reduced range of motion in areas of your body that handle a lot of weight and impact. This includes your knees, low back, hips, ankles, and shoulders. Joint pain can also be experienced as sharp pains when you move your joints a certain way or put too much weight on them. There are several causes of joint pain, many of which we do every day without realizing the (literal) impact we’re having on our joint health. As we age, the connective tissue and cartilage that cushions the space between our joints gets thinner. The bones get closer together, and the friction can produce soreness and sharp pains. The inflammation of joints in arthritis makes knees, wrists, elbows, and other areas feel sensitive, stiff, and uncomfortable. A slouchy posture can also contribute to joint pain due to unnatural alignment. When you’re properly aligned in your posture, your bones sit in the correct position atop one another and their cartilage cushions. When you’re out of alignment, your skeletal system may not “sit” properly, and will result in strain and excess pressure on the wrong areas of your joints. Working out too much, especially engaging in a lot of high-impact exercise such as plyometrics or distance running, can result in wear and tear on your joints and the cartilage between them. This can create excess friction, causing uncomfortable joint pain. On the flip side, not enough movement and living a sedentary lifestyle can also result in joint pain. This is because sitting puts a lot of pressure on certain joints (especially your lower back), and when there is no relief from this pressure, your joints may ache. In addition, when you exercise and build muscle, your muscle essentially helps take some weight off your skeletal system so there isn’t as much pressure on your joints. If you aren’t working out or moving around enough, you miss out on this benefit. Epsom salt baths have been the go-to for muscle aches and pains for years. However, studies now show it is also effective for joint pain and can even help ease stiffness in arthritis patients. 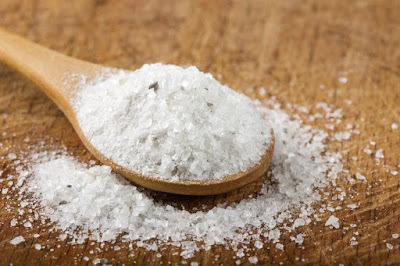 Epsom salts are composed of magnesium chloride, which helps relax muscles. Combined with warm water, these can also help dilate blood vessels and promote better circulation, which could ease stiffness. One study showed that applying a warm compress of Epsom salt daily on sore knee joints resulted in a significant reduction in knee joint pain in arthritis patients. To mimic this effect, either apply a warm compress of Epsom salt dissolved in water to your area of pain or take at least three Epsom salt baths weekly. If you suffer from pain in your neck and shoulders specifically, try this DIY Epsom salt compress combined with soothing stretches for maximum joint pain relief. Essential oils not only smell amazing but also contain compounds that can help reduce inflammation and ease pain. 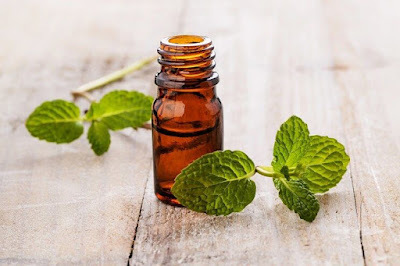 This is especially true of peppermint and eucalyptus oils which contain menthol, a cooling compound that improves relaxation and eases inflammation. One study found inhaling eucalyptus oil was able to decrease patients’ pain and inflammatory responses after total knee replacement surgeries. Try diffusing eucalyptus or peppermint oil and inhaling it to reduce joint pain, or adding a few drops of oil to your bath or Epsom salt compress. Bone broth, other collagen-containing foods and supplements can also greatly help with joint pain. This is because collagen is what “cushions” the cartilage between our bones and joints. When we consume extra collagen, we help improve these cushions, which could result in less friction within your joints. Studies show supplementing with collagen can help reduce pain in patients with osteoarthritis of the knee or hip, and can also help prevent bone collagen breakdown. 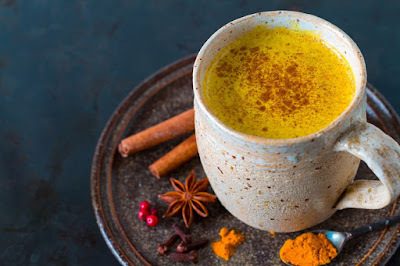 Golden milk is a yummy concoction hailing from India that combines turmeric, black pepper and other spices in non-dairy milk to create an anti-inflammatory beverage. Studies show that the curcumin in turmeric helps reduce joint pain and inflammation in arthritis patients as much as a standard dose of ibuprofen. We love this creamy Golden Turmeric Latte recipe made with coconut oil, cinnamon, and ginger for a sweet and savory start to your morning. You can also take turmeric supplements, or add a sprinkle to your meals. Just be sure to add a bit of black pepper to help your body best absorb the curcumin! 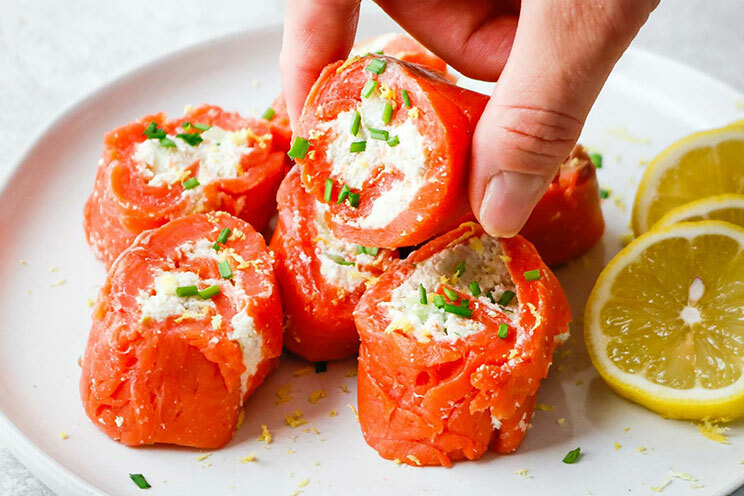 Omega-3 fatty acids, such as those found in wild-caught salmon, sardines, walnuts, chia seeds, and hemp seeds, have also been shown to reduce inflammation, joint stiffness and swelling in patients with rheumatoid arthritis. Try to increase your intake of fatty fish to at least three times per week, start adding healthy nuts and seeds to your meals, and supplement with a high-quality, cold-pressed fish oil. Glucosamine is a natural compound found in cartilage. 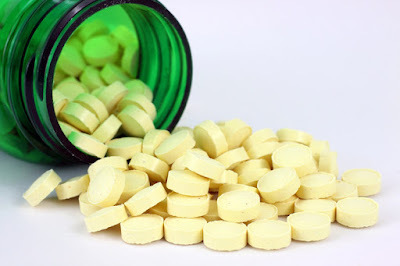 Studies have shown that when combined with chondroitin (another natural substance found in connective tissue) it can significantly reduce knee joint pain in osteoarthritis patients. In fact, research shows the combination of these two compounds as a supplement is as effective as a popular prescription medication for osteoarthritis. 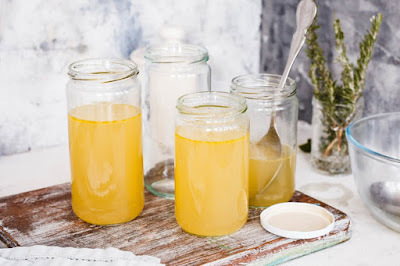 You can typically find glucosamine and chondroitin supplements in your local health food store, but know that homemade bone broth is also a great source. Along with natural remedies, there are also several additional lifestyle changes you can make to help relieve pain and improve joint health. Adding a stretching routine to your daily schedule can significantly help reduce joint pain and stiffness. One study showed osteoarthritis participants who took up light yoga were able to reduce pain, morning stiffness, and even anxiety and blood pressure levels. Interestingly, the study also revealed that adding yoga and stretching to participants’ regimes worked better than physiotherapy sessions at reducing pain. Adding a low-impact exercise routine to your schedule can greatly help manage joint pain. Research shows that while it may initially seem counterintuitive, movement helps reduce joint pain by improving muscle tone, which lifts some of the weight off the skeletal system. Studies also show muscle weakness from lack of exercise is associated with increased pain levels and poorer physical function. Try walking, swimming, Tai-Chi or other low-impact exercises that you can easily add to your daily routine. Studies show that eating an anti-inflammatory diet filled with healthy fats and greens can significantly help improve knee flexion and range of movement in arthritis patients. Fill your plate with organic veggies, olive oil, wild-caught fish, avocado and nuts, and avoid any processed, sugary foods that can worsen inflammation and pain. If you’re carrying a few extra pounds, this could also be putting more strain on your joints and worsening joint pain. Weight loss can help ease the burden on already stressed joints and potentially offer some relief. Luckily, if you’re changing your diet and exercise habits, weight loss should happen naturally. 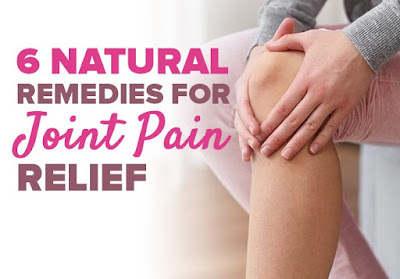 With these natural remedies and lifestyle changes, you can significantly reduce your joint pain, while also possibly improving your joint health and increasing the strength of the cartilage between your joints, leading to less stiffness and pain.